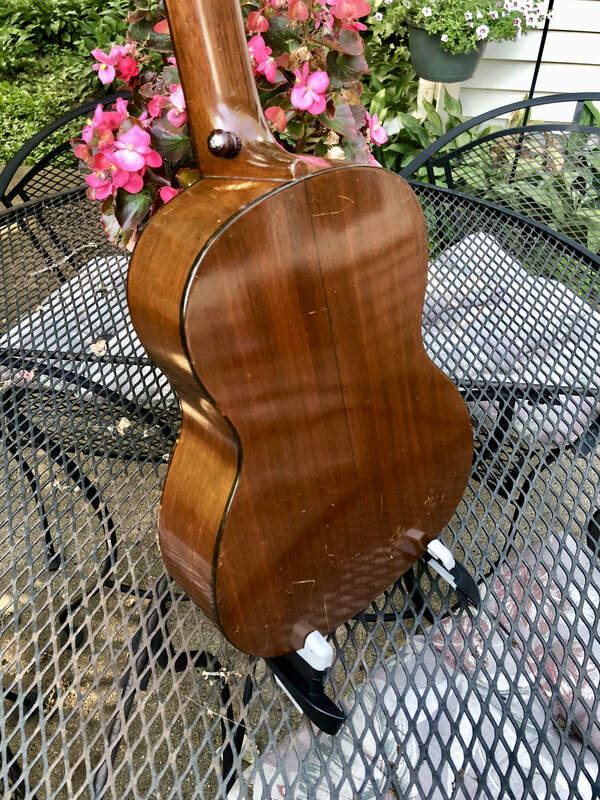 Martin 1-T Tenor ukulele with a double bound all mahogany body and tortoise plastic binding. 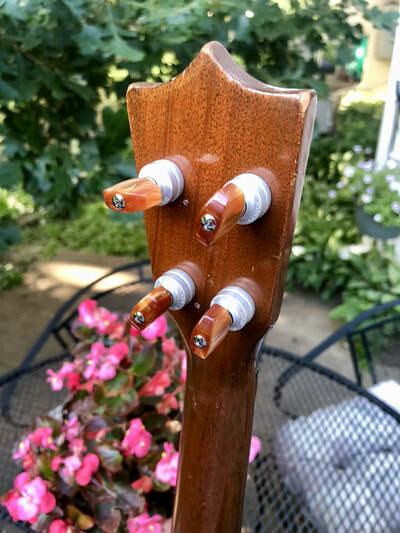 Mahogany neck, Brazilian rosewood fretboard and bridge, and Gotoh planetary geared tuners. 12 fret to body - straight neck, nice low action without buzzing. 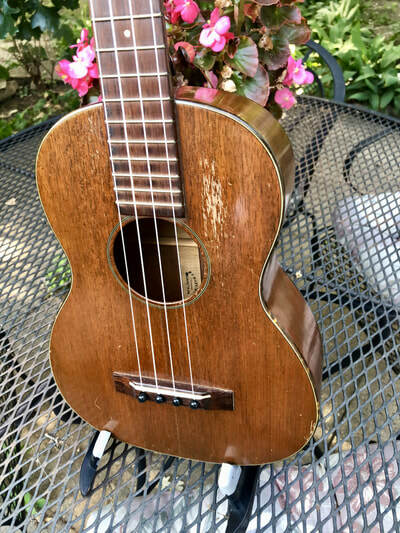 Lush warm tone, but with a sweet sparkle to the high notes. Very good condition. UkeCrazy canvas cover hard case. 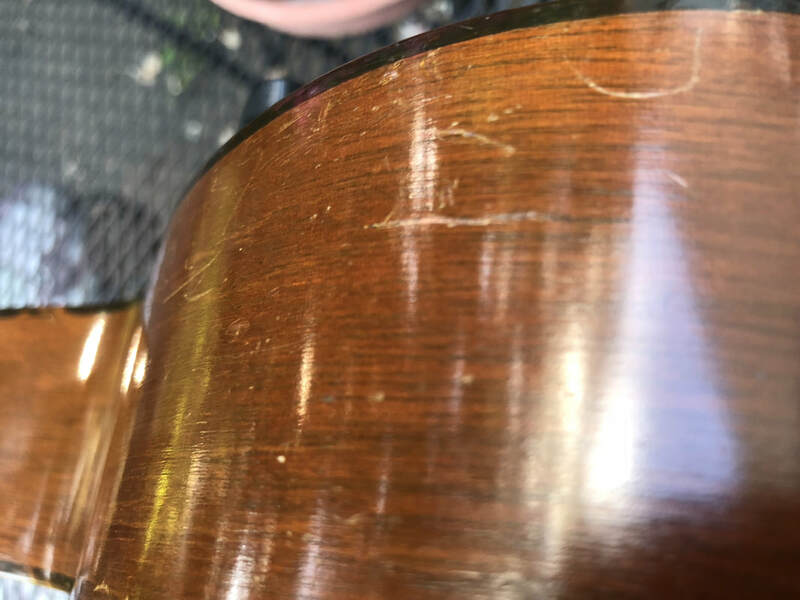 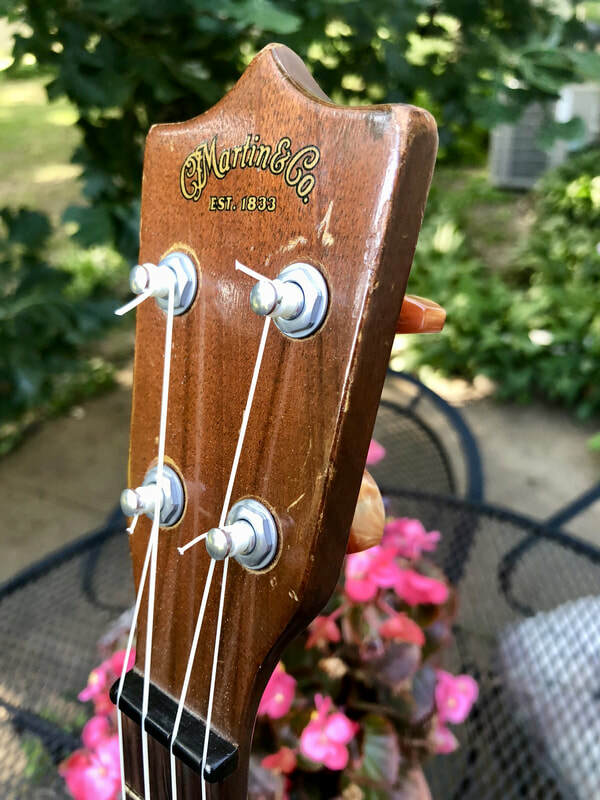 I had this ukulele evaluated by two Martin authorized luthiers on 8-1-18 because of what appear to be cracks from the bridge to the end on the top and on the treble side of the lower bout. (Both are shown in the last two photos.) 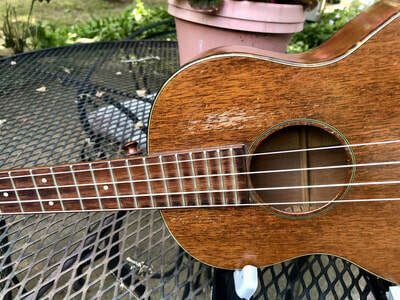 According to the luthiers those areas are completely stable and the ukulele is in very good shape for a 70 year old uke. Email: tcuker@icloud.com - Please contact by email. 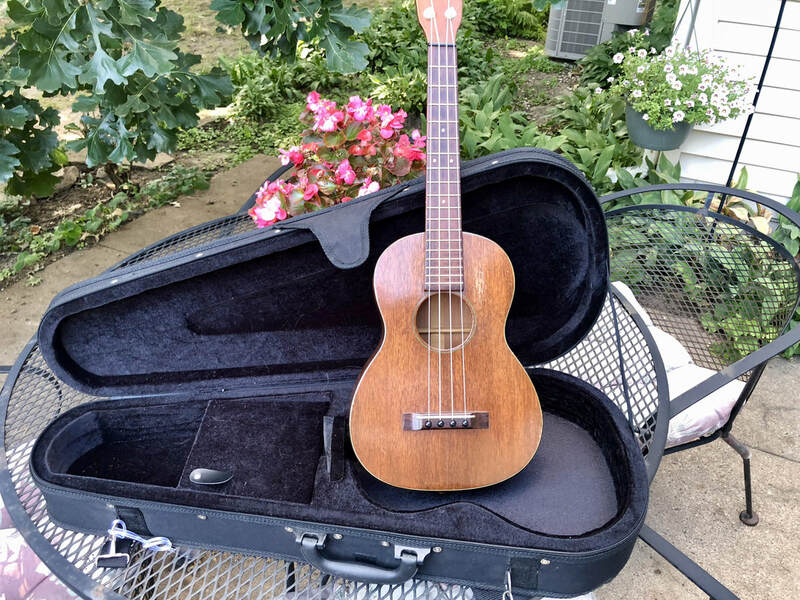 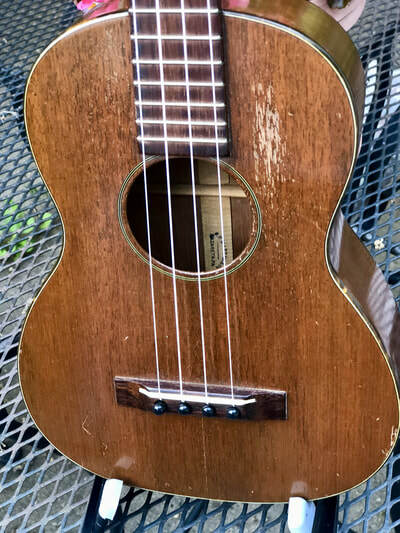 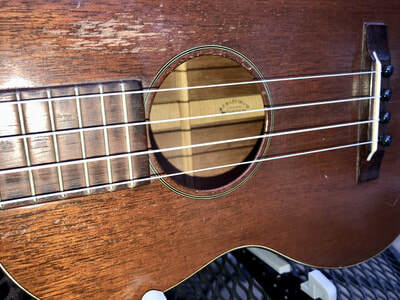 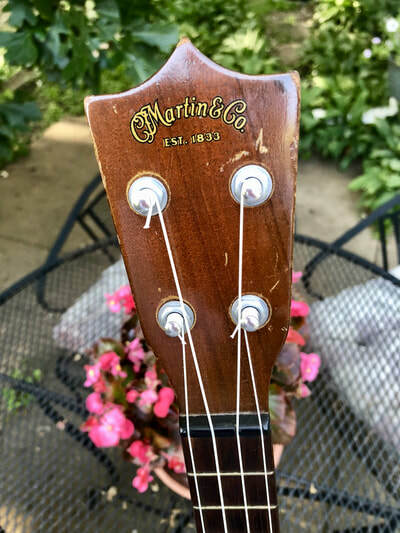 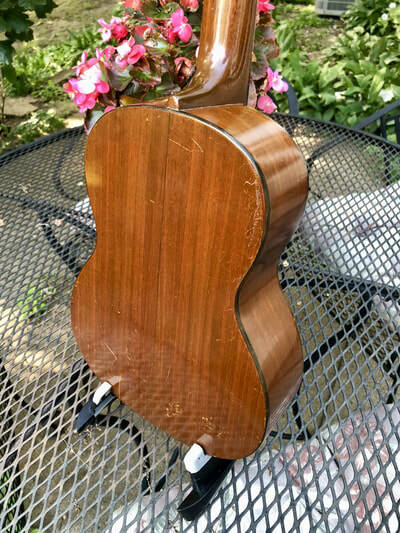 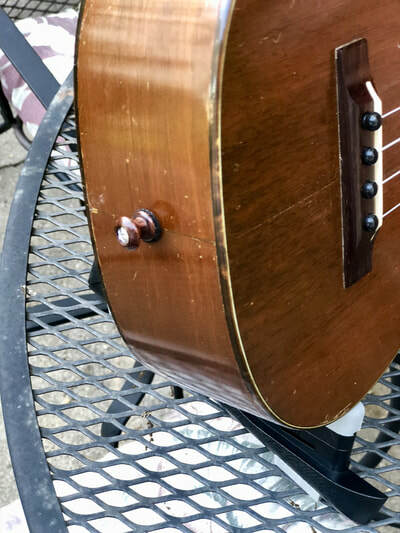 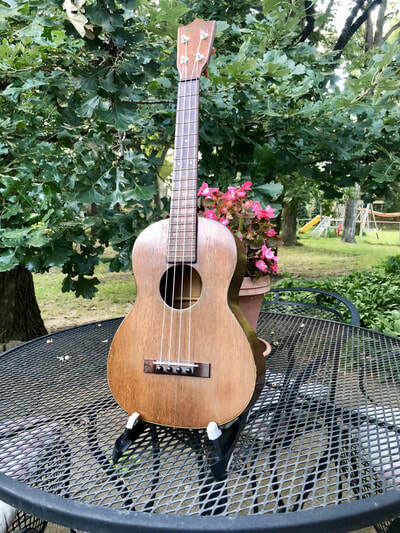 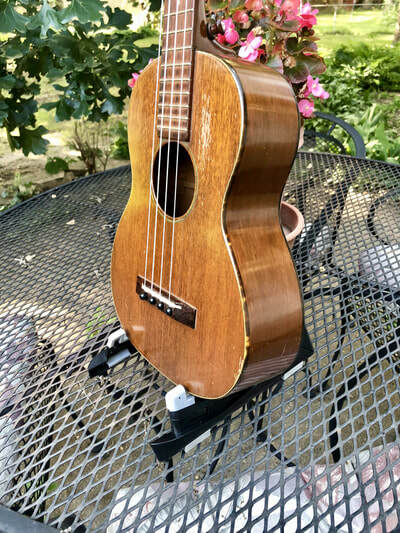 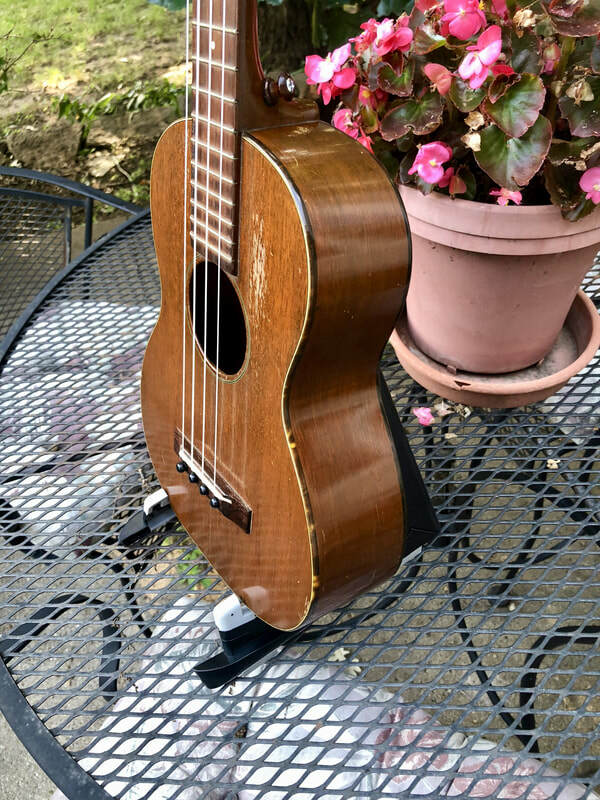 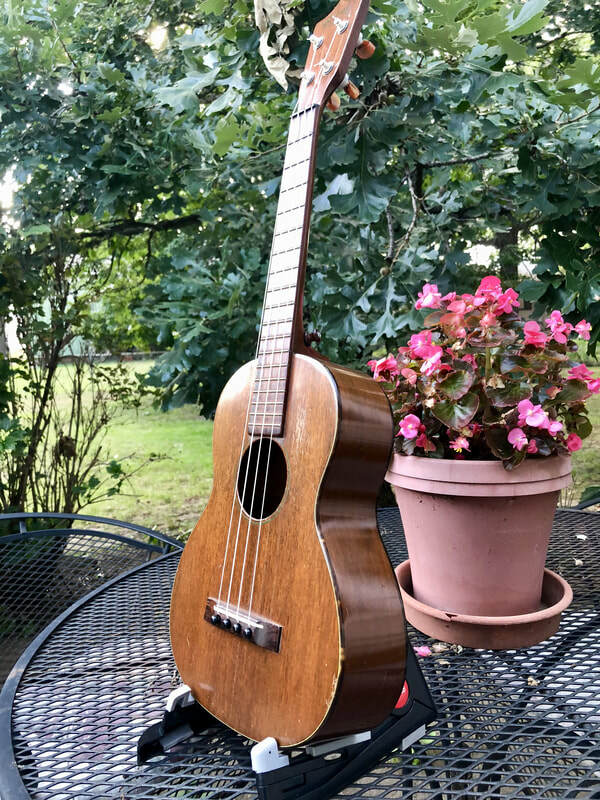 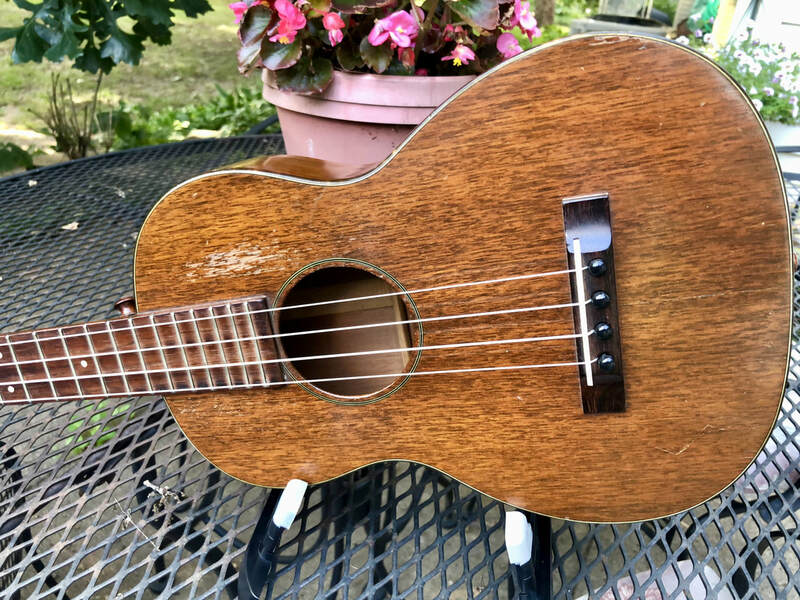 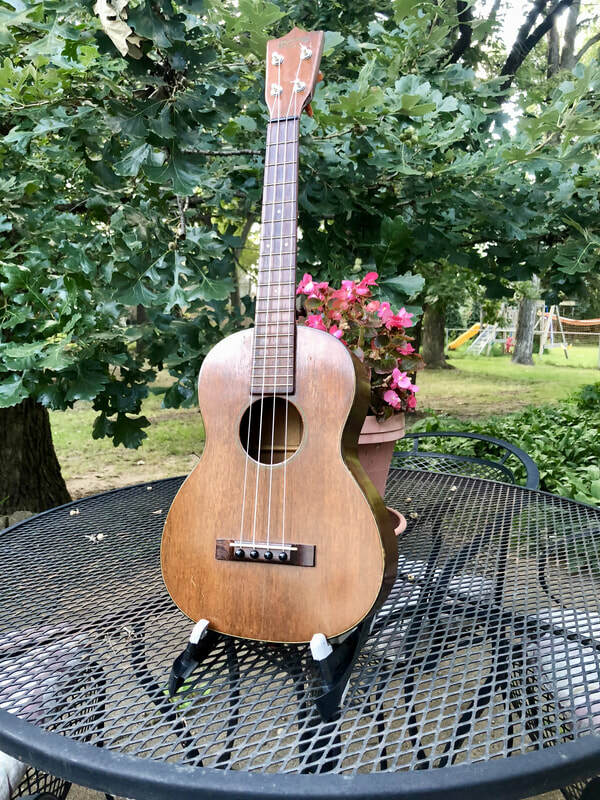 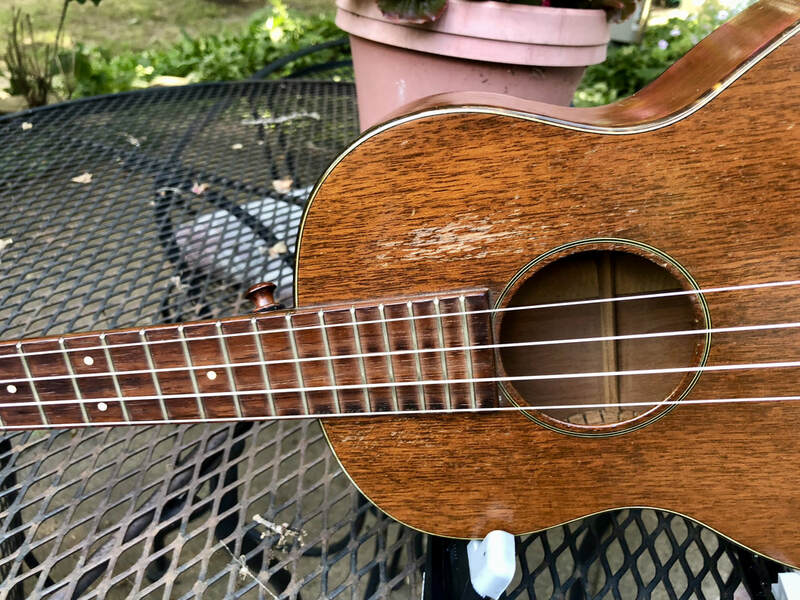 Review of a similar vintage Martin 1-T Tenor ukulele.